If you want to show your children the REAL Karachi, THIS is how you do it! Home › Community › Double A! Double A! Super Savari Express! Many of us have the privilege of travelling around the world, to see and experience new places and cherish the ‘real feel’ of each city. 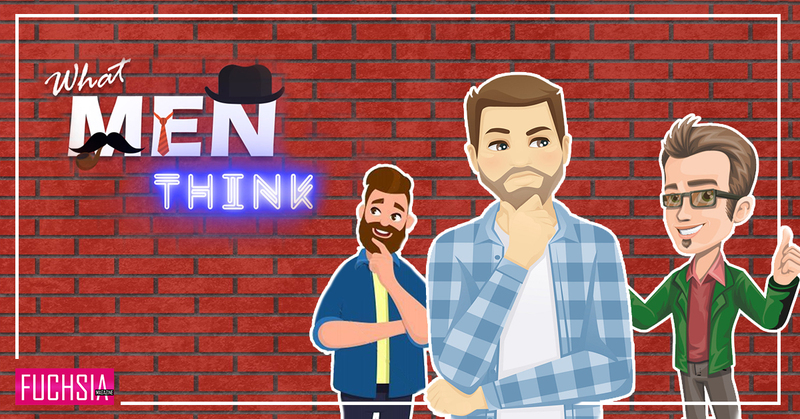 Our Facebook walls are filled with posts of places we visit, whether a narrow corridor of an old city, a glimpse of wall-art by local artists or a simple night-bazaar in downtown. These places come alive with the stories told of them. Without storytellers, these magnificent cities will be nothing more than a mapping out of buildings and roads. It’s the association to their past, that makes these places unique and worth visiting. This historical referencing, these amazing stories – are what I feel has been amiss in my hometown, Karachi. Karachi is a relatively young city compared to the likes of Lahore and Rawalpindi. Its story is that of the humble beginnings of a fisherman’s settlement (Kolachi) which developed over 100 years, into a mega metropolis. Karachi is known as the financial capital and economic lifeline of Pakistan, home to many prosperous Pakistanis, and of course, to its political turmoil and lawlessness. Little is portrayed or showcased of Karachi’s rich sense of spirit and celebration. Unfortunately, little emphasis has been placed on an awareness of its rich history, art and architecture! 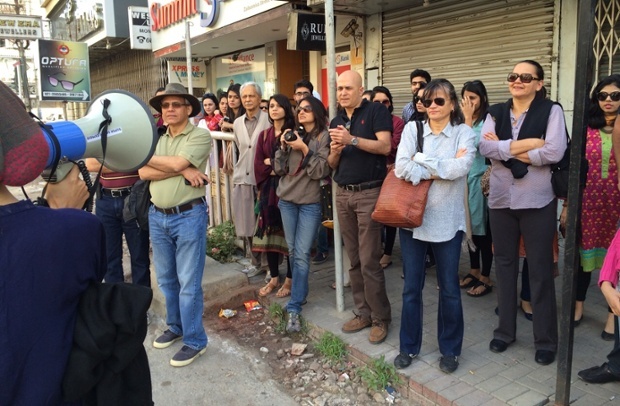 Karachi has been missing its storytellers, who can show the world what lies within the walls of this much-loved city. 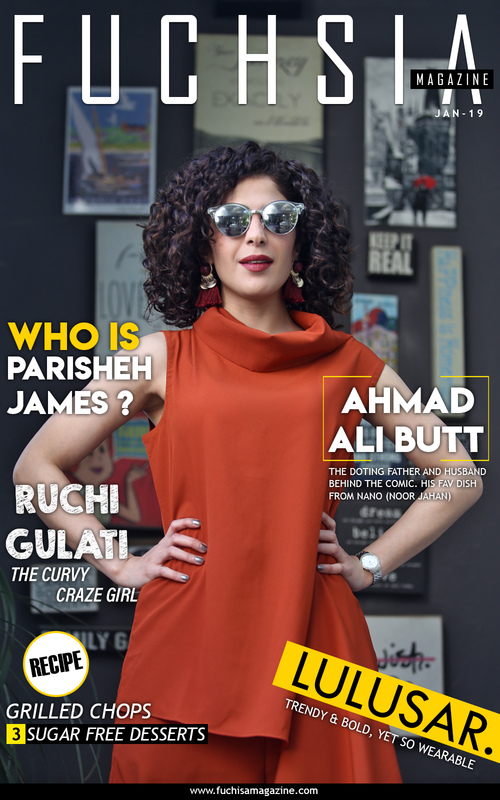 In this issue, FUCHSIA tells you about one such storyteller, Super Savari Express, which is here to give a voice to the city of Karachi. The local version of the Hop-On-Hop-Off / Tour–de-City bus – in our very own, colourful, truck-art-painted, full-of-mirrors bus. 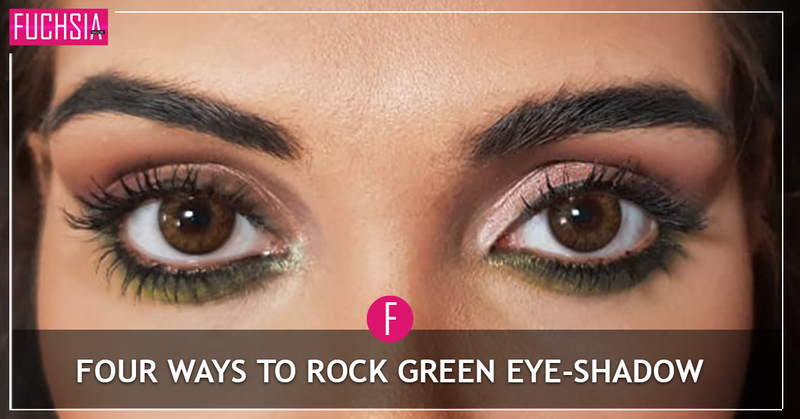 “I wanted to bring out the beautiful side of Karachi which is hidden behind so much negativity of the city”. Beauty lies in the eyes of the beholder, and so, Atif wanted to show the passengers of Super Savari, the everyday life of Karachi in a manner that connects to the roots of this wonderful city; be it a traffic jam downtown, or a shortcut taken through a half -baked road, he wanted the Savari taker to revel in all the possible sights and sounds of Karachi. While the clientele comprises many foreign tourists from Europe, the Americas and Asia, the main focus is the residents of Karachi. 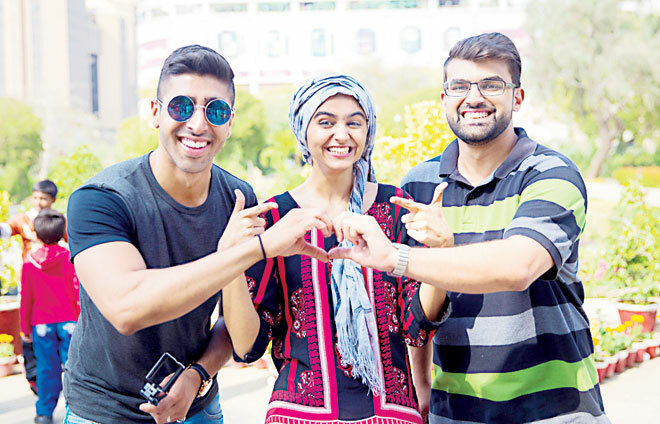 These are the people he hopes to show Karachi to, as they have never seen it before. With friends, family, and children, people take a tour of their own city, enjoying and appreciating the minor, intrinsic details and idiosyncracies that make up a big city, including the things we normally crib about. The ride is about owning and enjoying what is ours and Super Savari is definitely helping to engender this mind set. The positive response is proof that there is a huge vacuum of such initiatives in Karachi, and as soon as people got word of it, they thronged to catch the Savari in large numbers. It’s A Bird, It’s A Plane … No, It’s A TRUCK-ART BUS! 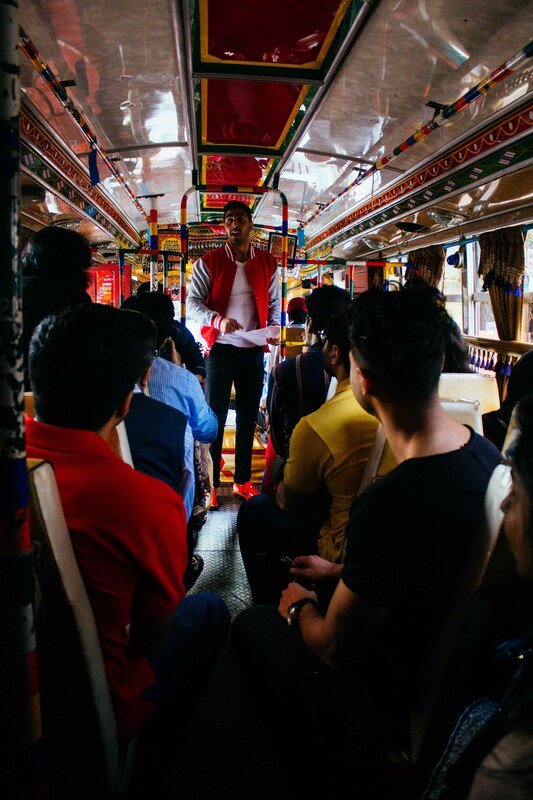 The Super Savari fleet includes exotic Truck-Art Buses (air-conditioned and otherwise), Qing Qis (private 9-seater rickshaws) and Victoria Carriages. These are all modes of transport we have seen around Karachi before, and probably travelled in too. I certainly did in my university days! The tours are conducted under stringent safety conditions that include a security convoy with the tour bus so tourists are free from worry. A resource car also follows the Savari, in case of any emergency. So where does this Savari actually take us? The tour is planned after thorough research; every location is picked to ensure a rediscovery of the glorious past of the city through its art and architecture. The Super Savari team have identified many beautiful buildings from the colonial and post-colonial era, and routed the trip to bring out what has been lying hidden behind the tall new buildings and busy urban life. Main downtown, or purana shehar, the famous market buildings, old city monuments – from beautifully worked mosques to gorgeously stain-glassed churches and age-old temples; a ride on the Super Savari promises a fantastic experience of inclusion and diversity. In linking the past to the present, Super Savari has succeeded in providing a way for different generations to connect and bond. Elders show young people areas of popular interest in the city from days gone by, or where they used to hang out or live; for example, an elderly lady was elated to discover that, on the Savari, her granddaughter bought comic books from the same shop in the old Urdu bazaar which she herself used to frequent in her youth. She was so touched she sent a thank you note with flowers to the Super Savari team. This is the payback Atif receives and cherishes. The Real Fun Is In The Story Telling! All of the tours are accompanied by English-speaking, energetic and fun-loving tour guides. Imagine how different this Super Savari Express would feel to a foreigner who has seen it only through the eyes of the international media. 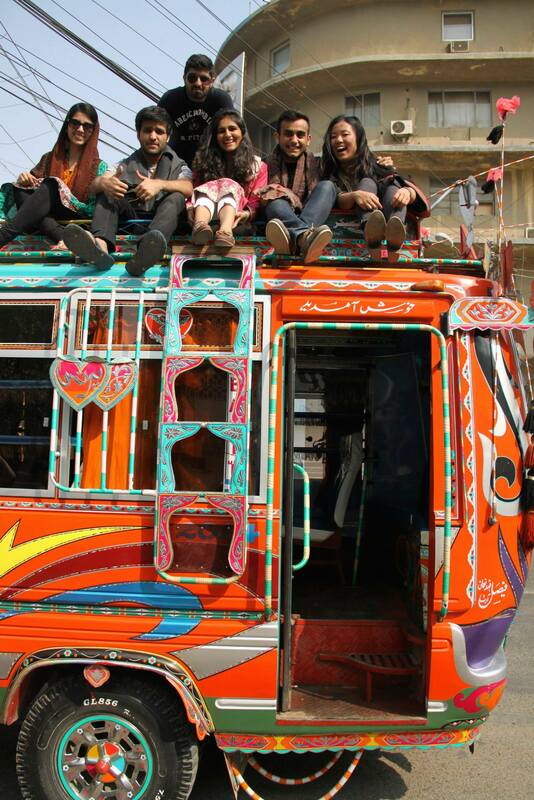 The guides act as ambassadors of Karachi and its culture , to both the foreigners and the locals. So How Exciting Can It Get? Atif related to us that one day when the team was reviewing a site for a potential stop over for Super Savari, a stranger approached them and inquired what they were up to. Upon discovering their plan, he invited them to follow him as he indicated that he may have something of interest to show them. They followed him through narrow lanes for some time, curious about their destination, and when they took their final turn, lo and behold, they saw themselves facing an old, beautiful haveli – a lost treasure. For the Super Savari team, these discoveries are priceless. The team has now initiated a host of customized tours, which include food tours, wedding packages, beach trips, birthday packages and much more. With the success of Super Savari in Karachi, Atif and his team have met with equally enthusiastic response in Lahore and Islamabad, after having expanded there. The team is also looking into inter-city tours, boat rides and cruise dinners. Atif believes that the huge success of Super Savari within just 15 weeks of starting up shows how badly Pakistani cities need such initiatives. Super Savari uncovers the untold story behind the media portrayal of Karachi as Breaking News for all the wrong reasons. It tells the story behind the hustle and bustle, of Karachi’s paradoxes and larger-than-life culture. Finally, Karachi has found a voice now and a story that will not end. 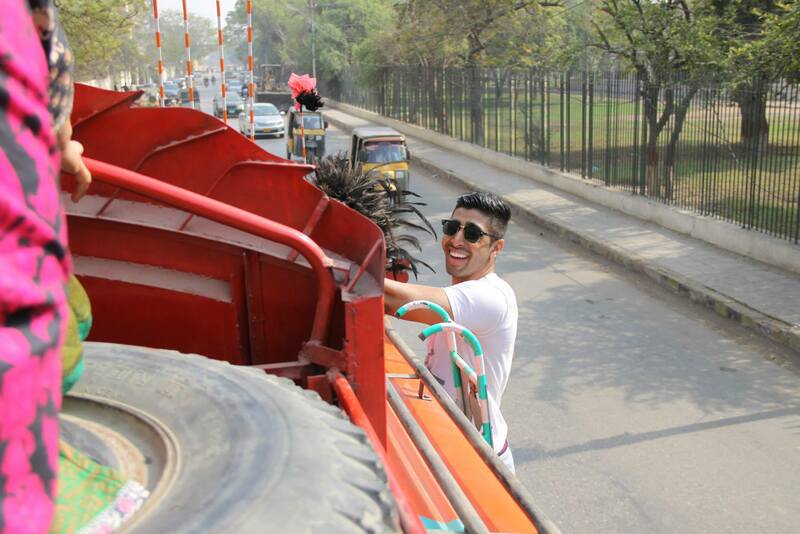 Founded in December 2014, Super Savari Express (Pvt.) Ltd is a registered company incorporated with the Securities and Exchange Commission of Pakistan (SECP). Mr. Babar Tajammul and Mr. Atif Bin Arif are the Principal Directors. 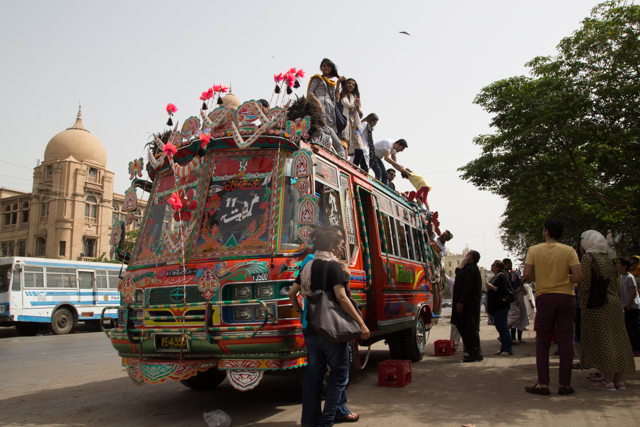 Truck-Art Buses, Qing Qis and Victoria Carriages – modes of transport we have seen around Karachi before, and probably travelled in too. 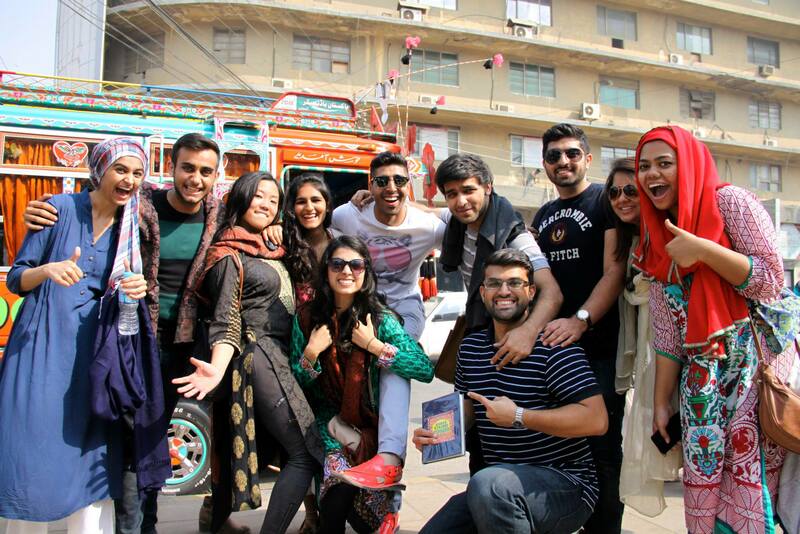 English-speaking, energetic and fun-loving tour guides who act as ambassadors of Karachi’s culture. “You don’t give up on your parents when they get old; homeland is like your old parents. You don’t leave your country when it is weak, you stand by it, and celebrate the wonderful journey it has taken you through”.